The music is unusually dark and sombre for me! I wanted to make sure that I actually played some piano this year after several years of taking lessons and I wrote this one on piano before... erm... letting the guitars take over the mix a bit. Collaborating with @owl was a pleasure as always! owl: VV wanted to do a murder ballad so I found one of the weirdest murders(?) I could think of to write about. also never thought I would ever have a song where I put such emphasis on the word "pasty" but... it rhymes, so! I really like the interplay of the guitars and piano on this track. Did you know that that pasty would be the last meal that you ever would taste? Or that you'd never wear those slippers you left behind in your checked suitcase? Awesome production and the harmonies are great, love all the different elements of the arrangement and a real emotion delivered through the vocal. A sombre feel but little bits of light in places as a contrast, really great collab well done. Beautiful, well-produced track, with awesome vocals and just the right amount of darkness. I love all the harmonies, and the story, and the way things change at "American coat" musically. Very mysterious and macabre effective guitar work there. One of my favorite tracks this year. Number one... They have pastys in Australia? I love them even more now. This was simply marvelous on all sides. Intriguing story, told with the incredibly artistic lyrics that owl crafts, set to a perfect story song musical setting that held your interest and a wonderful performance from both of you. You are such a good pair and I always love the songs you come up with! Excellent subject for a song. Adelaide's got a reputation as Australia's weird murder capital, but I didn't realise it stretched back that far. Great singing from both of you, and I love how the 'slower poisons' verse universalises it all. Great arrangement too, sombre but letting in the light. Lovely melody and accompaniment -- and such a fascinating tale, told beautifully. I like the contrast between the verse and chorus (and the odd element the chorus reveals). That last verse is just glorious; so poetic. I'm happy to have discovered your music. Oooooh, wonderful song! Excellent storytelling. The music is terrific, and the vocals (and harmonies) gorgeous. Very pretty, catchy melody. Ooh, I love a good mystery to read about while I'm listening. This is probably the most sombre Vowl Sounds song I've ever heard and yet it sparkles with melancholy magic. The middle section around the "then the suitcase" line is particularly creepy sounding. Great chords in that part. Brilliant utilisation of the story for these lyrics. 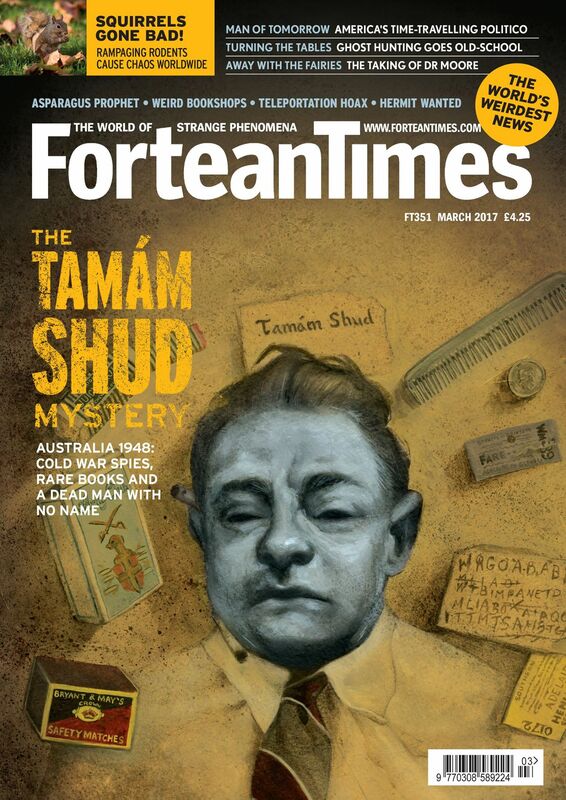 This is great, interesting to follow the story and wonder what happened and wondering what the heck "tamad shud" means. Oooh this is really beautiful. I love when the music cuts off on "to find you." Something extra pretty and spooky about it. And the dreamy melody of the chorus with @owl's higher and @vomvorton's lower tone vocals anchoring them has such a wonderfully, unplaceably unsettling quality with it's little juxtapositions. And OH DAMN when y'all switch to that already spooky bridge and then Vom's voice comes in in the middle and I was feeling full on "YOU'RE IN DANGER, GIRL DON'T GO DOWN THERE." And that last verse is so good and so beautiful -- some of my favorite lyrics I've read/heard this FAWM maybe? Another wonderful Vowl Sounds collaboration, you guys! Really excellent! Australian noir is the genre I didn't know I needed in my life. The chorus is absolutely superb. Oooh, this is soooo good. Great storytelling, and the kind of dreamy-pop that sits right adjacent to some of the newer Twin Peaks soundtrack stuff that I love. Many superlatives I could throw at this one. Just a great tune. One of FAWM's best for 2019. What a great story to tell in song! Wonderful creation of the right mood. These are very skillfully written verses. Wonderful job on that, and the music suits everything perfectly. Great concept to begin with. The bridgy part with the details is spooky as all get out and the final verse is transcendent. There's a sort of delicate "flip" sound I hear at the onsets of syllables that I thought at first was coming from a digital effect. I'd be curious the source. Candidly, it's the only thing in the production that seems to not match the other choices made, to my ear. I remember reading an article about this story in the Fortean Times (checks archive...) Yep. It was issue 351 (March 2017) and it was the cover story. A fascinating case. This song conveys the mystery well. The device of telling the story through questions (more questions) helps maintain the uncertainty and unease created by the excellent accompaniment. Cracking job, folks. As a lifelong Fortean, this pushes all the right buttons for me. I really like this. I like the piano and acoustic guitar parts and how they work together. The vocals are so good – especially in the chorus – and the layering later on works really well too. The lyrics are full of details, but hint at traditional ballads too ("rides one Neil Day"). The last verse, turning to Omar Khayyam and then back to the beach, is very nice. Hooray for Vowl collabs! Just lovely, quite a familiar sound yet it sounds like nothing else out there. The harmonies in the chorus are totally lovely.. fill the sound just enough without being overbearing. I was hoping to hear both your faces and you delivered... great how Tom really elevates that next chorus. Skills! Great job giving a poetic setting to this mystery. The backing track is fabulous and the vocal sits in it well. Really good job on this. Great instrumentals and vocals. You really did a good job selling this well crafted song. The chorus is gorgeous. Haunting! Love this - I was completely unaware of this case but was reading the wikipedia page whilst listening and it sounds like a really fascinating mystery. The music is great, love the piano from @vomvorton and @owl's vocals and lyrics are amazing. Also kudos for getting "pasty" into a song! You folks do work well together, this is fantastic. The lyrics and lyrical phrasing are gorgeous..
Oh my this is great. Where to start... beautiful vocal work as always. The harmonies are particularly lovely. The piano work and that bass line underpinning everything are very cool too. Finally, the lyrics are outstanding. Wonderful collab! Wow, I love what you did here melodically, thematically, arrangement-wise and with the great vibe. This song lingers with you hauntingly well after the last note. A mysterious murder ballad! Indeed the piano and guitar balance each other well. The multiple vocals work especially well in the First The Poison... segment. I never thought of murders as a subject for a song, you did well! I like long the lines of the verses are, really allowing for lots of fun phrasing: "temporary, star-scattered evening guests," for example. Impressive how many details from the case are weaved into that middle section. Dark tune with weird hopeful notes to add to the eerieness. words fail me. this is simply marvelous, as an opaque murder mystery, the maze of feelings beneath the exposition, a piece of music, a performance to rank with the best.,,,,,all in all, a pleasure for listening and reflection.